HOW DID WE BECOME OUR KIDS STYLISTS? How funky is the current generation of kids? Flashing shoes, shoes on wheels, leather jackets, leopard print Doc Martins. Jewellery, caps, funky tutu’s mixed with leopard print Doc Martins! Kid’s clothes today are a WORLD away from what we had on offer as kids. These days the plethora of clothing for our babies and kids is unbelievable. As parents, we have many qualifications on our parental resume. Chef, cleaner, tutor, chauffeur, nurse, referee, counsellor. Countless more and now we are also required to be our children’s stylist! A task that can be daunting, costly, stressful and time-consuming. 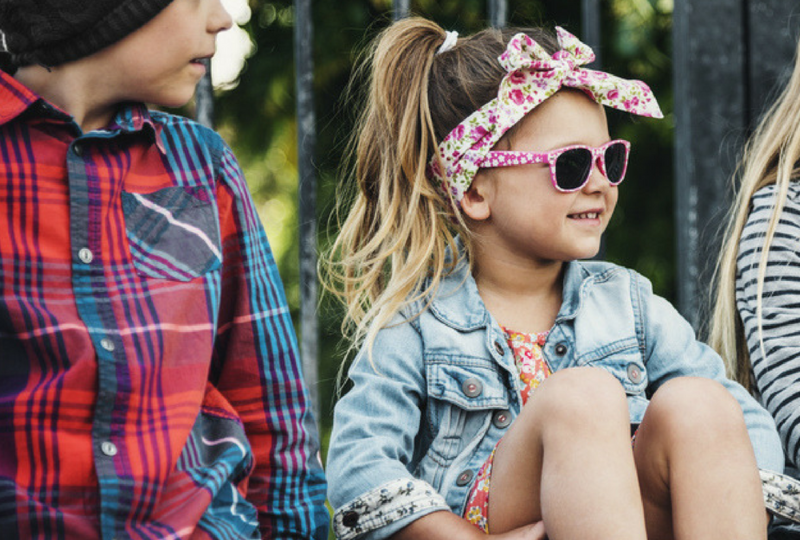 Kids have the opportunity now to express their individual style from a very young age. Sure we dress them as babies and toddlers. But the day they start to have an opinion on what they want to wear comes much sooner than it did a generation ago. Our kids now spend time shopping for their clothes. Long gone are the days when you got clothes on Christmas morning or got excited about getting your new school shoes. It feels as if there is more choice for kids than there is for adults. This high level of options makes things complicated. Not only do we have to try and style ourselves we have to style the kids. How much choice should we give them? Do you allow them to buy and wear what they want? How much should you buy them? Not all clothing sold is appropriate for kids. Even though it’s marketed and sold in kids clothing stores. How do you say “yes” to some things and “no” to others? First. If I don’t want them to be seen in public in it, it doesn’t belong in their wardrobes. They WILL without a shadow of a doubt put it on and insist on wearing it the day we are going out. Second. Everything needs to within the same style/colour palette. This way they can mix it up however they please. Without them knowing I’m in control of the outcome. A style is about knowing who you are and what you want to say. I’m trying to teach my kids that they can have their individual style. But they need to be aware of what they wear is saying something about them. This process takes time. As a parent trying to do her best to dress her kids appropriately, whilst nurturing their individual taste, staying within a budget and not spending countless hours shopping with the kids. I aim to only buy what I am happy for them to wear wherever they want to wear it. Whilst staying within the same style so they can confidently dress without any arguments. My kids are still young and this strategy is working well. I’m yet to tackle teenagers. I’m very sure that will be an entirely different blog post. Until then I will enjoy the influence I do have before I have absolutely none! Love HOW DID WE BECOME OUR KIDS STYLISTS? Or know someone who needs to read this? Please share away!